Originally established as a Special Health Authority in 2012, we are now a Non-Departmental Public Body (NDPB), as of 1 April 2015, under the provisions of the Care Act 2014. We believe that the most important resource the NHS has is its people. Without a skilled workforce there is no NHS. There are few careers that are as rewarding as one in the NHS, or that give you the opportunity to work with such a variety of people. Each and every one can make a difference to patients. More than 160,000 students are at this moment studying to be part of our future workforce. That includes doctors, nurses, midwives, paramedics, physiotherapists and many more roles - in fact there are over 300 different types of jobs performed by more than one million people in the NHS. Our vision is to provide the right workforce, with the right skills and values, in the right place at the right time to better meet the needs and wants of patients - now and in the future. The NHS is a complex system. 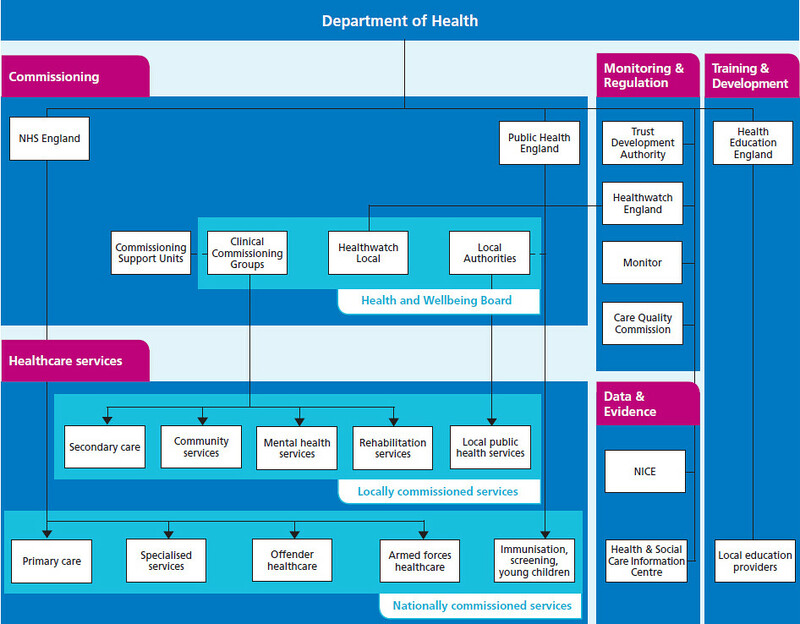 The diagram below shows how we fit into the NHS world, and work with our partners. We employ nearly 2,000 people in a variety of leadership, education and support roles, most of whom are based in local teams across England. The NHS belongs to the people and is founded on a common set of principles and values that bind together the communities and people it serves - patients and public - and the staff who work for it.